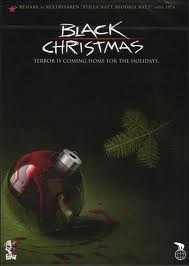 I’m not sure why I thought a 1-2 punch of Christmas horror remakes was the ideal way to kick off this years Slayfest. I suppose I was a victim of circumstance in a way. 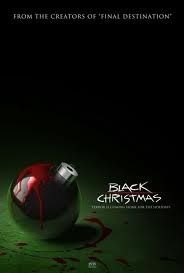 I like to watch the original “Black Christmas” on the 25th, so I thought it made sense to watch the remake near the beginning of the month. Then I found out that “Silent Night” was playing at the Mayfair on the 1st so that sped up its placement on the schedule. 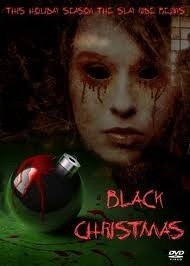 Now, unlike “Silent Night, Deadly Night” the original “Black Christmas” is a horror classic. I mean, SNDN is certainly a legitimate Cult Classic, but it’s really not a great movie. By contrast, BC is well acted, well shot, violent and supremely creepy. 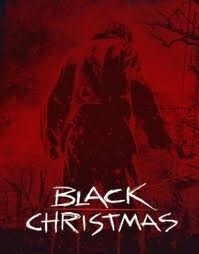 It’s certainly one of the greatest slashers of all time, and you’ve got to love that it was directed by Bob Clark (Porky’s, Children Shouldn’t Play with Dead Things) who would go on to make a very different Christmas Cult Classic 9 years later with “A Christmas Story”. Wild ! Much like other announced remakes of horror classics (Halloween, Texas Chainsaw, Elm Street, Friday the 13th, Evil Dead) fans were in an uproar about it. Presuming that it would be a crappy PG-13 offense to the eyes and minds. It received brutal reviews (as expected) but was a modest box office hit, earning 21.5 million on a 9 million budget. I’d heard so many bad things about it that I avoided seeing it until last year. So, is it really that bad ? Well, I’ve seen a lot of bad horror flicks in my time, especially remakes. I’ve mostly avoided several that are supposedly god awful (I’m looking at you Stepfather, Fog, Prom Night, April Fools Day, etc). Honestly, the main problem with these remakes of R rated horror classics is often the watering down of the source material in order to gain a broader audience. Sadly, we tend to watch and enjoy a lot of these films for the violence, not the “amazing character development”. That alone is a point in favour of this remake. Now, I’m not saying this is a great flick. I do like it more than the remakes of Friday the 13th, A Nightmare on Elm Street, Halloween, My Bloody Valentine and Last House on the Left, though that may be faint praise. It certainly doesn’t rise to the heights of other successful remakes, such as The Thing, The Fly, The Crazies, Dawn of the Dead, Piranha or The Ring, but I’m not sure it had such lofty ambitions. I will say that it boasts a more interesting cast than most horror remakes. Kudos to Andrea Martin (star of the original BC) for signing on to play the house mother in this one. It adds a nice touch that I’m glad they went for. Also nice to see Scott Pilgrim’s Ramona Flowers (Mary Elizabeth Winstead, who herself starred in the supposedly awful prequel to “The Thing”), Party of 5’s Lacey Chabert and even Michelle Trachtenberg (who is apparently starring in an upcoming movie called “My Bloody Christmas”. Just couldn’t stay away, eh ?!). They all do a respectable job, especially for a movie of this ilk. This is definitely a gory, fairly dumb and over the top horror romp. As much as I love the original, I can’t hate this remake. It’s just so batshit crazy that it has a sort of kinetic charm to it. 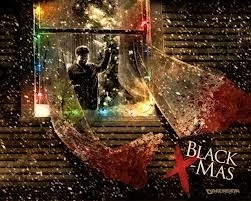 It may not have an insane woodchipper death like “Silent Night”, but it does have the killer making Christmas cookies out of his mothers back-skin. He puts them in the oven then eats them ! With milk ! It’s so gross, but ridiculously over the top ! I don’t even know how to feel about this ! Also, someone gets impaled with an icicle and someone else gets impaled on a Christmas tree. Fun stuff ? All that said, and in the face of backlash to this movie and reasonable reviews towards “Silent Night”, I actually think this is the better movie. It’s gross, ridiculous, over the top and kind of dumb, but it’s a hell of a lot better and more resourceful than your average limp horror remake. It will never come close to the original, but the people behind this one clearly love and respect the source material. This one won’t fly at your next family outing, but grab a six pack, some friends and shut your brain off for awhile and you might just get a kick out of it. 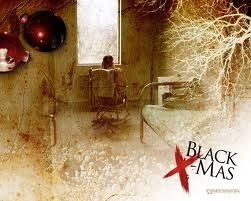 This entry was posted in Reviews and tagged black, blood, Christmas, classic, cult, December, gem, gift, gore, holidays, Horror, killer, lights, mystery, reboot, Remake, thriller, tree, Xmas by lazron. Bookmark the permalink.